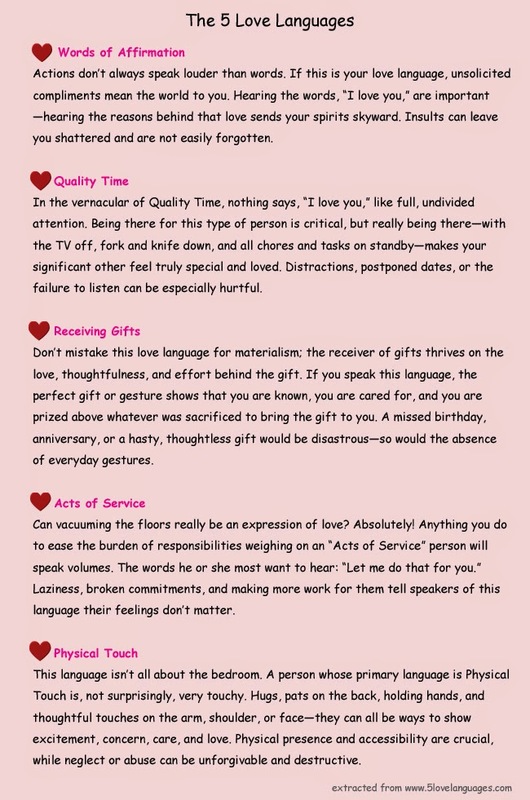 There's the popular book "The 5 Love Languages" for the general population but for Asians these "Love Languages" have a cultural twist. 1) Words of Affirmation = Lecturing. Kids need to be praised for who they are. 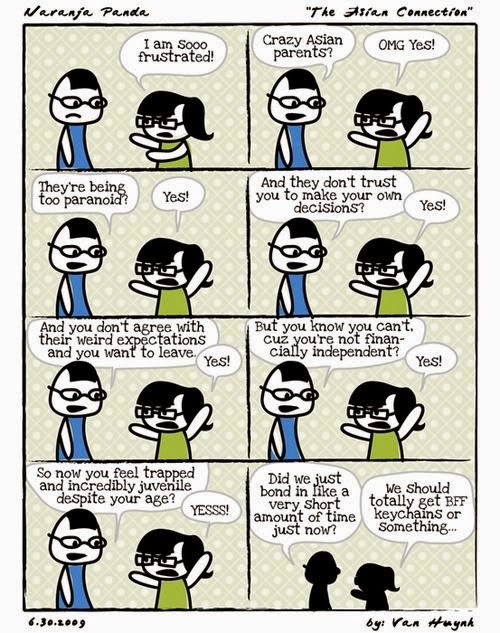 They need to be empowered to trust their instincts. 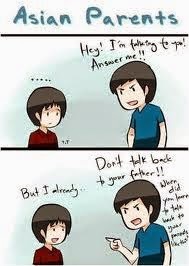 Instead many Asian parents simply lecture their kids and treat them as non-entities. Okay, probably non-entities is too strong a word. But yes, lecturing has become a habit. From young, parents lecture as they believe their children will remembering better with the scolding e.g. scolding when you don't eat your food, e.g. scolding when you hit others - and it does influence our behavior and values in the future. Some agree with the letting the children go and learn from their own mistakes way (try, empowered), some find it will be too late by then. For me, I think words of affirmation are given but usually said to relatives and not to the child himself. And when said to relatives, it just feels like the Asian way of boasting - though it makes one feel secretly happy and honored - it also creates a suspicion. And sometime irritation. In the more traditional Asian family, play is usually non-existent. Parents are too busy working and trying to make more money. There was no such thing as leisure time to "play" like a white family going skiing, hiking, or camping. 3) Physical Touch = You get B+? You get spanking. Hugs, kisses, and physical signs of affection are scarce. I can only remember vague memories of my dad holding my mom's hand. I've never seen them kiss each other. Consequently, it's almost taboo for Asian parents to display physical affection to their kids. Okay, my parents still hold hands. But physical affection to kids, I've seen it in some families. Not a rare thing nowadays. All must feel comfortable on this love language though. 4) Acts of Service = You have enough to eat? Here, you eat more. This is the one love language that most Asian parents think overrides the need for everything else. If they feed you, clothe you, and put a roof over your head, they believe they've done their job. Rarely, will they recognize the need for emotional nurturing and oftentimes are dismissive and critical of Americans' desires to give attention and time to their kids. Most accurate. But I love this. Its a common way for Asians to show their love. Boiling soup for you after work, fruits so you will grow healthy, buying lunch for you, washing clothes for you etc. Very practical. 5) Gifts = I pay for your tuition. I make you food. What more do you want? 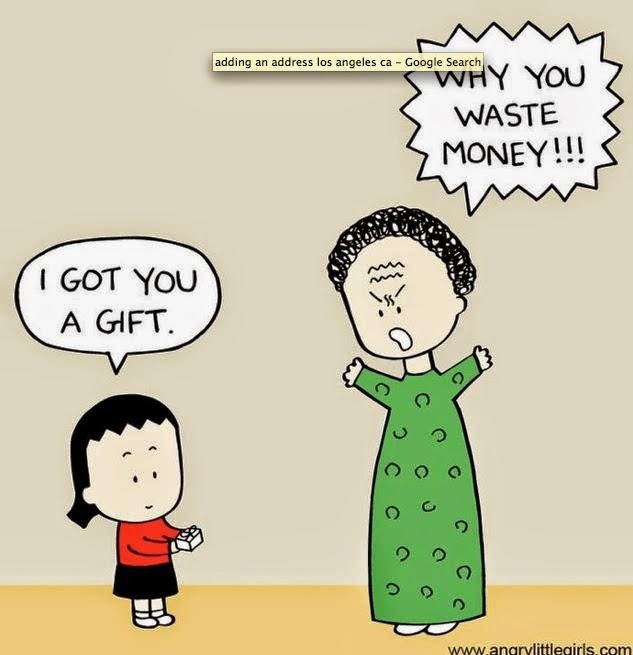 Gift-giving is also big in the Asian culture. If they give you money, buy you things, then they believe that should suffice for caring for you. Why should they need to empathize or try and understand your point of view when they can just buy their way out of emotional entanglements? But yes you need money for everything.